Civil rights pioneer, organizer, and prolific author, James Forman was a significant force in the Civil Rights Movement. As the executive secretary of the Student Nonviolent Coordinating Committee (SNCC), Forman organized workers and volunteers in protests of segregated facilities, voter registration, and many other direct action campaigns. He continued to work on civil rights issues until his death in 2005. James Forman was born on October 4, 1928, in Chicago, Illinois. His mother was Octavia Allen Rufus, and his stepfather was James “Pops” Rufus, a gas station manager. He used the Rufus last name until the age of 14 when he learned that his father was Jackson Forman. Until the age of six, Forman split his time living with his mother and stepfather in Chicago, and with his maternal grandmother on her farm in Marshall County, Mississippi. Forman would continue to spend summers with his grandmother, who stressed the importance of education and acceptance of all people, regardless of race. Forman’s experiences in the segregated South proved very important in his developing social consciousness. He graduated with honors from Englewood High School in 1947 and later attended Chicago's Wilson Junior College before joining the U.S. Air Force. After completing four years of military service, Forman enrolled at the University of Southern California where he was beaten and arrested for robbery by white police officers in a case of mistaken identity. Forman returned to Chicago in 1954 and earned his B.A. in Public Administration three years later from Roosevelt University where he became a leader in student government and other political groups. Forman then attended graduate school at Boston University where he studied Mahatma Gandhi and his efforts to effect change through direct action. In 1958, Forman became involved in the Civil Rights Movement in the South when he covered the Little Rock, Arkansas school desegregation crisis for the black newspaper, the Chicago Defender. Through a program organized by the Congress of Racial Equality (CORE), Forman also helped provide food and clothing to 700 Fayetteville, Tennessee sharecropper families who had been evicted for registering to vote. Forman, who believed it was important to have an organization work full time on the problem of segregation and discrimination, moved south and joined SNCC in 1961. He became the organization’s executive secretary where he helped unify the split between members who advocated direct action versus registering voters. In his leadership role, Forman organized transportation, housing, and food for organizers and helped them get out of jail. He also raised funds for SNCC’s direct action campaigns. SNCC’s activities, under the leadership of Forman, and other organizations’ activities, led to the 1964 Civil Rights Act. That summer, Forman and other SNCC workers organized hundreds of black and white students to register voters, set up community centers, and establish an alternative to the whites-only Mississippi Democratic Party. Three of the program’s volunteers, Andrew Goodman, James Chaney and Michael Schwerner, were found murdered in the fall. Forman traveled to Africa in 1967 to study African leaders’ efforts to end colonialism; he wanted to know whether their methods could be used to help American blacks. Two years later, his “Black Manifesto,” which demanded reparations for slavery from white churches and Jewish synagogues, was adopted at the Black Economic Development Conference in Detroit. Other civil rights leaders have echoed this call for reparations in recent years. In 1969, Forman’s first book, "Sammy Younge, Jr.: The First Black College Student to Die in the Black Liberation Movement" was published and was followed three years later by his autobiography, “The Making of Black Revolutionaries.” Throughout his life, Forman prolifically wrote books and magazine and news articles. 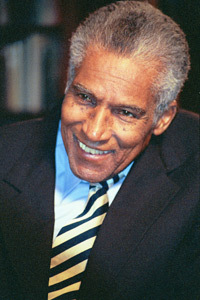 In the 1980s Forman led the Unemployment and Poverty Action Committee, started a short-lived newspaper, and formed the Black American News Service. Forman also earned his M.A. in African American Studies from Cornell University in 1980 and his Ph.D. from the Union of Experimental Colleges and Universities, in cooperation with the Institute for Policy Studies, in 1982. Forman remained committed to direct action to achieve civil rights until he died of colon cancer on January 10, 2005. During the 2004 Democratic National Convention, Forman traveled to Boston to participate in a “Boston Tea Party” in which D.C. delegation members threw tea bags into Boston Harbor to protest the city’s lack of statehood. Forman, who was divorced from Mary Forman, Mildred Thompson, and Constancia Ramilly, is survived by two sons: Chaka and James, Jr., and one grandchild.